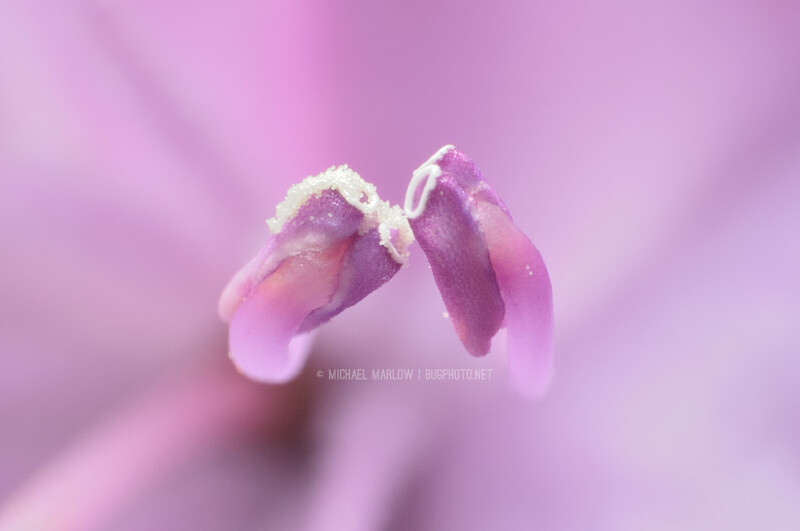 Purplish-pink anthers, one covered with pollen, almost share a kiss inside the blossom of a rhododendron. We go softly into the dark night, as winter begins, but the festival never ends; all of the lights we carry internal and eternal at once. 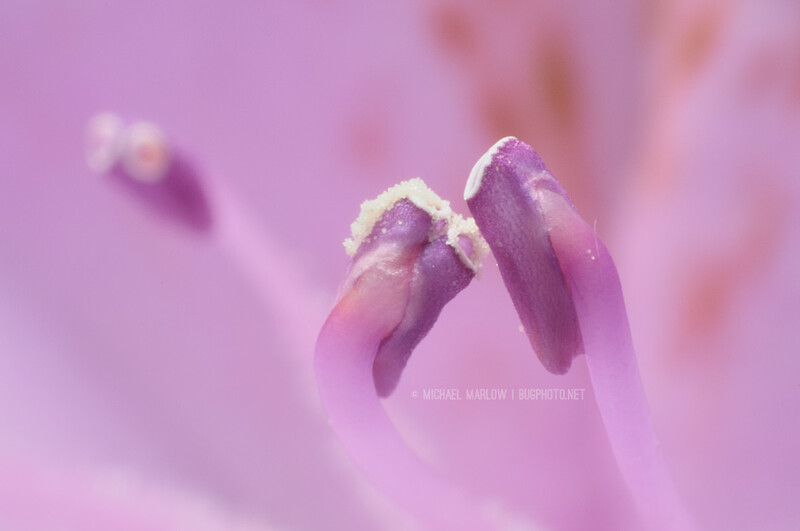 Three’s a crowd: Two rhodendron anthers almost touch, while a third stands out of focus in the background. Posted in FlowersTagged anther, black and white photography, flower, kiss, kiss on the lips, Macro Photography, macrophotography, monochrome, pink, pollen, rhododendronBookmark the permalink.